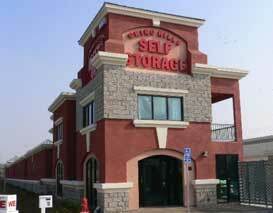 Chino Hills Self Storage is located just northeast of Highway 71. Take Highway 71 to Soquel Cyn/Central exit and go North on Central. Take the first Left onto Fairfield Ranch Road and turn right onto Red Barn Court. We serve the city of Chino, Chino Hills and the surrounding areas. see the Map at right or click here for driving directions. Units can be accessed from 7am to 7pm Monday through Saturday, and 10:00am to 3:00pm on Sundays. Our Office Hours are 8am to 6pm Monday through Saturday, and 10:00am to 3:00pm on Sundays.